Gold has a glittering history since the ancient days. 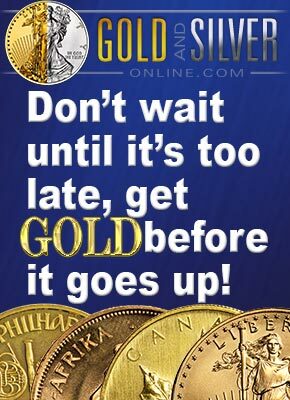 From gold flakes to gold bars, the ability to buy gold has come in many forms over the centuries. Around c.3600 BC – Gold was smelted by the Egyptians using blowpipes. 2600 BC – ancient Mesopotamian goldsmith crafted the first few pieces of gold jewelry. Between 1200 and 1500 BC, a new casting technique was developed; the so called lost-wax technique was used in the jewelry process to improve the hardness of gold, allowing color variations. 1223 BC – the gold creation of Tutankhamun’s funeral mask. 950 BC – the building of King Solomon’s gold temple. 600 BC – gold was first used in dentistry due to its bio-compatibility, corrosive resistance and malleability. 564 BC – the first mint for a standardized gold currency by King Croesus. In 300, the Lycurgus Cup was colored with gold nanoparticles by the Romans for a bright red glow. In 1300, the first gold hallmarking system at London’s Goldsmith Hall. In 1370, the occurrence of famine of the Great Bullion. In 1422, Venice Mint’s listed a record minting of small gold coins. In 1511, King Ferdinand’s famous gold expeditions. In 1717, Britain established the standard for pure gold. In 1848, occurrence of Gold Rush in California. In 1885, occurrence of Gold Rush in South Africa and the creation of Hen Egg or Easter Egg, especially for Tsar Alexander III. Between 1870 and 1900, gold was adopted as the standard currency. In 1925, gold was re-adopted as the market standard after WWI. In 1933, President Roosevelt suspended gold from private holdings. In 1939, gold market closed due to WWII. In 1961, gold was used in bonding wire and construction of space shuttle. In 1967, the Krugerrand from South Africa was introduced. In 1971, floating exchange rates commenced. In 1985, Auranofin was developed using gold to treat arthritis. In 1999, 15 central banks from Europe agreed on gold reserves. In 2001, stent that is gold-plated was successful in heart surgery. In 2003, China developed its first 18k gold jewelry. In 2004, SPDR launched its gold shares. In 2009, most central banks reverted to be net gold purchasers. In 2010, gold prices hit record highs spurred by fears of inflation and impending financial crises. Gold has shown only progress throughout the centuries with its unrivaled properties although it is an inert material. It is nothing until it is discovered, mined and refined in man’s hands. Hence, the history of gold reflects the history of civilization.